Do you want to take a boat cruise at the V&A Waterfront? How about dining on the water, with the beautiful backdrop of Table Mountain keeping vigil over your party? We’ve been in operation for more than 19 years, and helped countless South Africans and foreign visitors to enjoy the best that Cape Town has to offer. Our floating venue option is ideal for those who would like to entertain their guests alongside our mooring situated in the heart of the V&A Waterfront. With full catering on board, we offer a luxurious floating restaurant experience in Cape Town that is second to none. Look forward to a delicious dinner in one of the most unique and spectacular venues in the world. Aside from providing dinner boat cruises at the V&A Waterfront, we also offer our popular sunset cruises. These cruises are popular for many good reasons, and we look forward to welcoming you aboard soon. Our sunset cruise takes you to Clifton 4th Beach, or to Table Bay, depending on the weather on the day. At the destination, you get to enjoy and take in the scenic view, while sipping on a glass of sparkling wine. This is just one more way that we work hard to make your experience as special and unique as possible. Afterwards, we slowly cruise back as the sun sets and the city lights up, with Table Mountain and the 12 Apostles creating an exquisite backdrop. 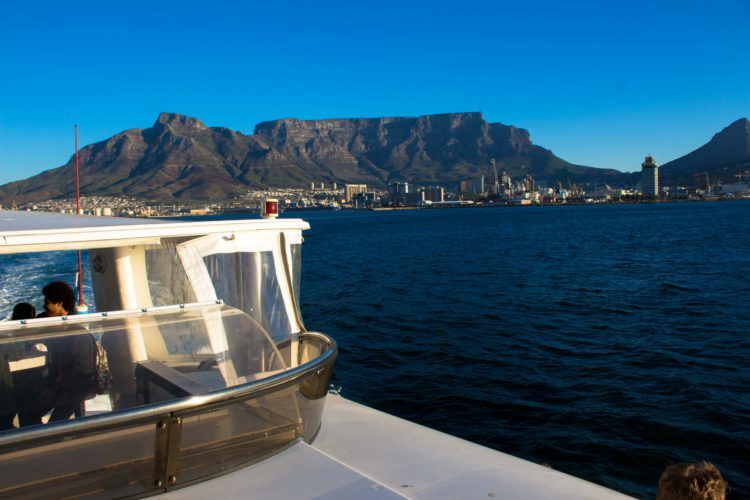 If you would like to learn more about our exciting boat cruises departing from the V&A Waterfront, and book your cruise well in advance to avoid disappointment, speak to us today. We look forward to welcoming you aboard, and making your experience memorable for all the right reasons.